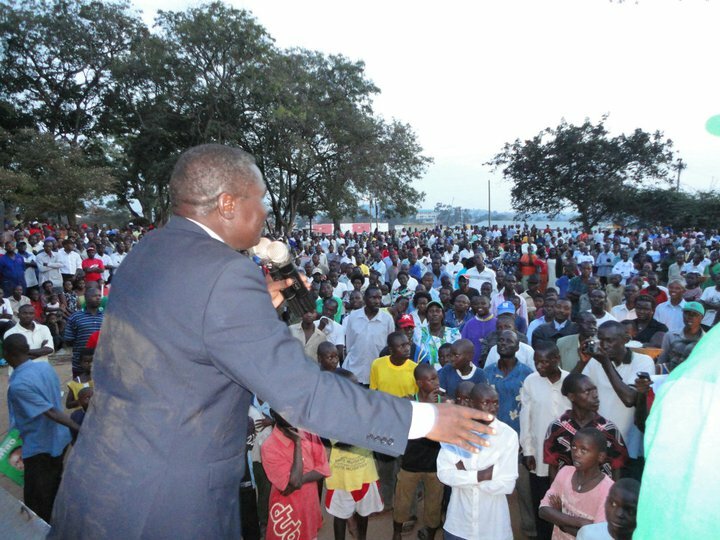 The Democratic Party presidential candidate Norbert Mao has advised the Baruli to give up President Museveni’s alleged divisive politics and remain united under the leadership of Buganda Kingdom. He said the current regime was playing the divide and rule politics to cling onto power at the expense of unity. Addressing a rally in Nakasongola, the DP president said Mr Museveni is concentrating on promoting ethnic division as his campaign tool instead of explaining his manifesto. He warned that the politics of sectarianism would cripple the country and cause chaos in the future. “It’s like creating new districts; government is increasing the number of plates instead of increasing the volume of food on the plate,” he said. Mr Mao described the ruling government as the most corrupt in the world and lacks the moral authority to manage public funds. He said government has failed to use anti-corruption measures to curb the problem, saying no Ugandan can trust them with oil money. “They are increasing abject poverty after failing to establish clear avenues to enable communities generate income,” he said. Mr Mao said the proposed traditional leaders Bill should be withdrawn because it was brought in bad faith. However, NRM spokesperson Mary Karoro Okurut said she was “disappointed Mao is turning to smear politics”.